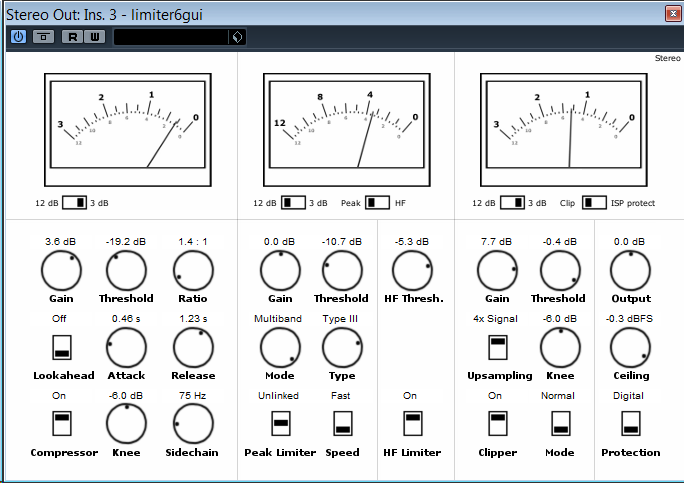 The final plugin name is… “Limiter №6”! I’m continuing my experiments with new plugin to prepare public alpha version. You can check my test of using it on master. This is my old work for Sound on Sound “Flags” remix competition. Just mixdown. No mastering processing. 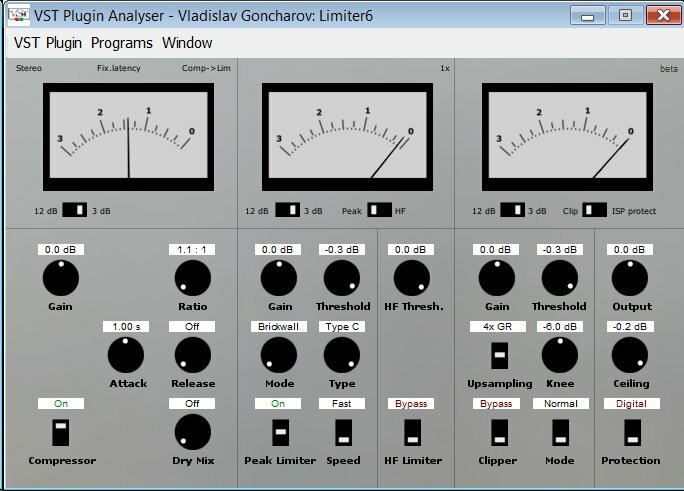 “Molot” was the only type of compressor used for this mix. And this is my try to use new limiter plugin on master. This is the screenshot of settings (public alpha will come soon and you’ll be able to try it). And also Sound on Sound’s Mike Senior version of remix just for kicks. I’m experimenting with usage of new plugin as dynamics processor effect in mixing to try to make presets and to find its weakest points. A year ago I tried to use only Molot in test mixes and now I try to use the new plugin. It is an interesting test. To compare the character of new plugin with Molot I used both of them for 8 track drum record which is the part of the mix I was experimenting with. NOTE: These are soundcloud links but don’t press “play” button because due to mp3 soundcloud’s encoder they contain a lot of encoding artifacts. Just download these records (as 32-bit waves ~70 Mbytes each, press “arrow down” button to do it) and then listen to them. #2. New plugin was used for kick, snare, room tracks and drum and master busses. The sound is… For me it’s very soft, wide and with a lot of depth. Draft GUI in progress. Part 2. Prepare public alpha version of limiter plugin. This version will have draft GUI but all functionality included and working. 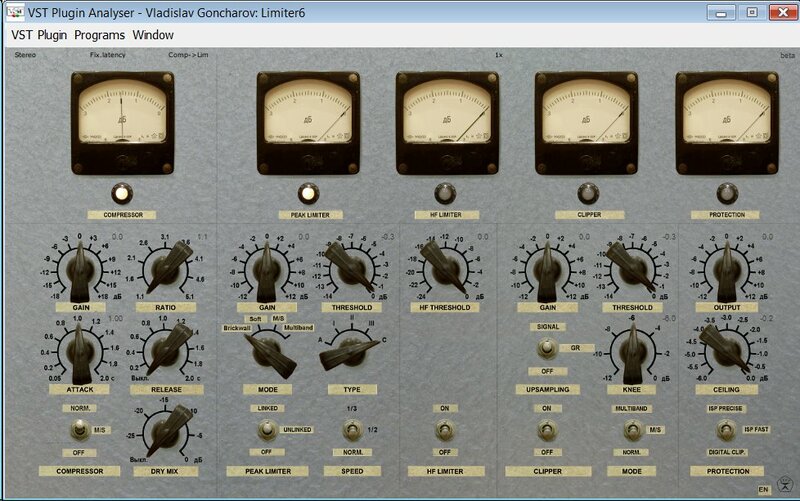 Prepare next release of Molot compressor. Take a break and make photorealistic GUI for limiter plugin. Just did last changes in true peak limiting module allowing to clip sound without inter-sample clipping. First it was mentioned in this post. And this is the last version. The concept was changed a bit. Now this is slow RMS limiter followed by very fast peak limiter followed by the clipper and ended with true peak limiting stage. All stages can be turned on and off. Peak limiter and the clipper can work in M/S mode. Peak limiter can also work as high-frequency limiter. The whole plugin can work in stereo mode for master or mix busses and in mono mode for instrument tracks which I believe can be useful. The conclusion? I have to do simple GUI for it and try to use the plugin in sample projects to find its strongest and weakest points. That’s the way. 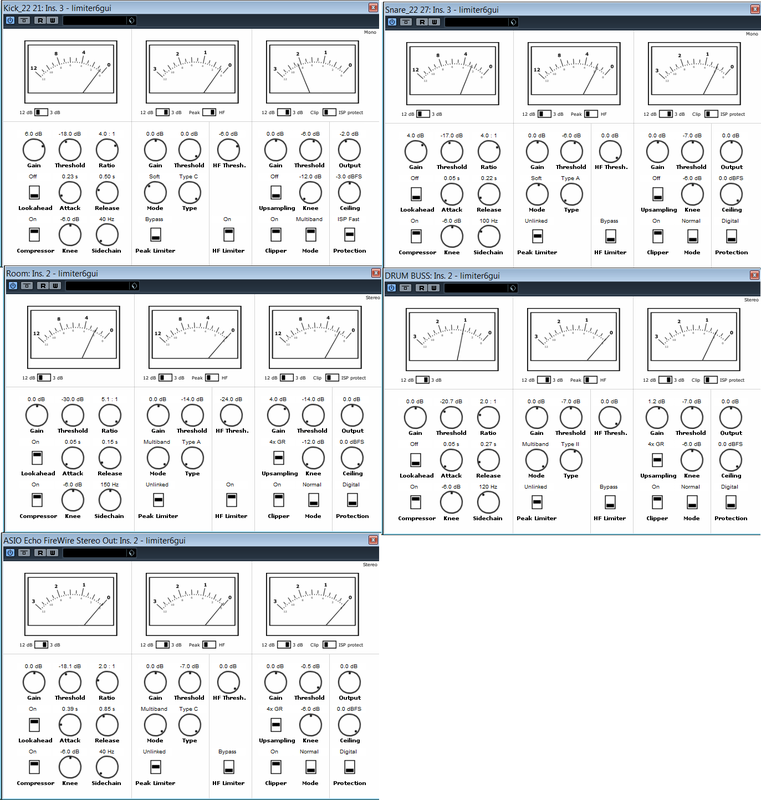 Okay, I have started making the new limiter from all modules I have. Output Clipper – (can work in true peaks mode to avoid inter-sample clipping or in simple mode just to clip samples, has switchable auto-gain mode to automatically level up the sound to -0.3 dbFS). Maybe soft-knee control can be useful for Peak Limiter (I’ll check this soon). Maybe DC Cut Filter is better to place just before output clipper (I’ll check this later). I have no ideas about GUI yet. By the way, I found that use regular compression curves with no high ratios (4:1 for example) for RMS limiter is better than limiting curve. I reimplemented the last RMS Limiter module (see previous post) with “Ratio” parameter and I think it sounds now pretty good. (Actually, I love how it sounds :-).) 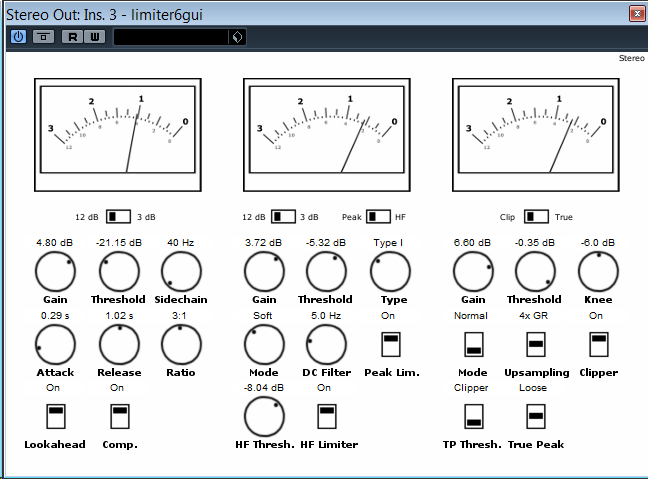 If you interested in you can check this [RMS limiter VST plugin (x86,x64)]. PS. I think the idea to show each small step of development of new plugin is better than keeping silence for year and after that to show only the last final step: the release version. I prefer continuous development process on each step of that you have something to check and to listen. 32-bit vs. 64-bit. My version. Used in most DAWs. 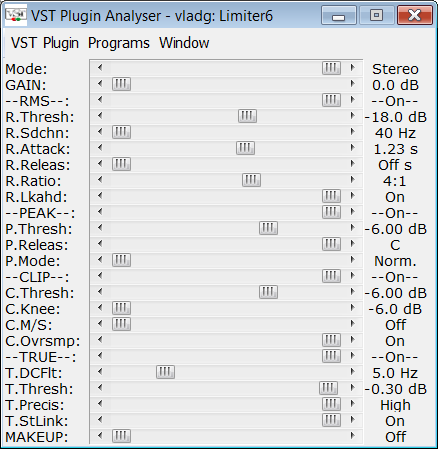 The main format for VST plugins to process (AudioEffect::processReplacing). The sample values for 0 dbFS are between -1.0 and 1.0. So it’s actually 24 bits per sample. Optional format for VST plugins to process (AudioEffect::processDoubleReplacing starting from VST 2.4). Some DAWs declare if all plugins in chain use 64-bit processing the whole signal chain has 64-bit processing. The sample values for 0 dbFS are between -1.0 and 1.0. So it actually 53 bits per sample. How much is performance degradation? Is it noticable audio quality enhance?